If you or a loved one have been diagnosed with this autoimmune disease, the transition to a celiac diet can be overwhelming, to say the least. The good news is that there's an abundance of recipes and meal choices, making your diet as delicious as ever. A celiac diet means going 100 percent gluten-free—a change that doesn't have to mean the end of delicious meals. The month of May—recognized as Celiac Disease Awareness Month—draws attention to this misunderstood disease. But those who eat a celiac diet all year ’round know too well the challenges—and I can relate. When I was 18 months old, I was diagnosed with celiac disease (CD)—a digestive disorder that affects approximately 1 percent of the North American population. I struggled with chronic diarrhea, severe malnutrition, weight loss, weakness, and many other symptoms. After a terminal cancer misdiagnosis and a lengthy hospitalization, a bowel biopsy verified that I had celiac disease. Many undiagnosed celiacs struggle with common “classic” digestive symptoms, including chronic diarrhea along with abdominal bloating and pain, vomiting, and/or constipation. The first step toward a CD diagnosis is a simple blood test that physicians can order when deemed necessary. 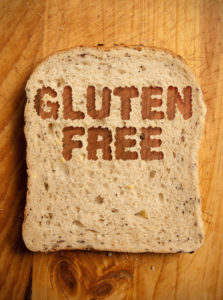 Following a medical diagnosis of CD, a gluten-free or celiac diet would be recommended. In addition to being classified as a digestive disorder, CD is also an autoimmune disease in genetically susceptible people. Individuals with the disease are intolerant to gluten, a protein found in grains such as wheat, barley, rye, and their hybrids, such as triticale (a hybrid of wheat and rye). Those with CD can also be affected by other grains—such as oats, for example—that may have been contaminated by gluten-containing grains. These sources of gluten are found in countless packaged foods, beverages, and even medicines. When people with celiac disease consume gluten, the small intestine that absorbs nutrients from food is damaged (this is what makes the disease autoimmune), and the body attacks itself. The only current medical treatment recommendation for CD is a celiac diet. When left untreated, CD can cause serious health problems to virtually any system of the body. CD is also linked to more than 200 symptoms. This is one of the reasons why the disease is so difficult to diagnose. According to Beyond Celiac, a non-profit organization in Pennsylvania that aims to improve access to research, treatments and a cure for CD, an individual will wait six to 10 years to be correctly diagnosed. 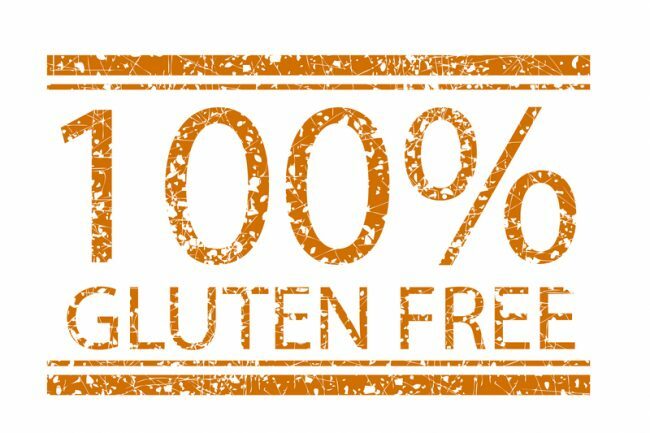 If you have been advised to follow a gluten-free diet, it can certainly be a challenge at first, but like all learning curves go, it does get easier with time. Here are six tips to help you as you travel on the road to wellness. Start with the basics and take your time learning about the foods you can and cannot consume. Don’t expect to absorb everything you need to know overnight. Create a basic “yes” and “no” list to get started, and post it on your refrigerator to reference. Plant-based foods that are allowed include fruits and vegetables, beans, nuts and seeds in their natural, unprocessed forms. Many gluten-free grains, such as quinoa and buckwheat, are also permitted. Animal protein that is allowed includes eggs, dairy (although many celiacs have dairy intolerance), unprocessed meats, fish, and poultry. Some non-profit celiac organizations sell pocket dictionaries that list ingredients that are safe and unsafe for celiacs, which can come in handy when you are grocery shopping or cooking. Learn about the basic facts and myths of celiac disease, and share the information with loved ones so you can eat safely in their company. 2. Learn to prevent cross-contamination. Cross-contamination of food (in this case) is caused when the food you want to eat has come into contact with another food containing gluten. According to the Canadian Celiac Association, “Anywhere you see crumbs is a potential place for cross-contamination.” For example, counter tops, cutting boards, microwaves, toaster ovens and containers with spreads can be major culprits. Get your own toaster and cutting boards. Boil, bake, fry and cook your meals in their own dedicated and separate pots and pans. Having your food (especially protein sources) cooked on foil will also help prevent cross-contamination. Another important tip is to avoid purchasing gluten-free flours in bulk. Also, don’t forget to ask, ask, and ask again if the food you are about to consume is safe (I always verify with wait staff and the chef at restaurants). These tips apply to cooking at home, dining out at restaurants and in the homes of loved ones. 3. Join a local celiac support group. Although you might not be feeling very social, a support group could be just what the doctor ordered. You will be amazed by how much you can benefit from non-profit support groups. Make an effort to attend workshops and events, including consumer trade shows where you can sample new products. Support groups also offer emotional encouragement and advocacy opportunities. The Celiac Disease Foundation, Celiac Support Association, and Beyond Celiac are examples of non-profit organizations that offer support groups across the country. 4. Monitor your nutrient levels. Many doctors recommend that celiacs have certain nutrient levels monitored every six to 12 months through blood testing, especially vitamin B12, vitamin B6, vitamin D, and iron, which are often lower than they should be. If you have ongoing issues with deficiencies, ask your health provider if supplements are right for you. 5. Make healthy food choices. There are a lot of gluten-free junk foods on the market. Just because they’re labeled gluten free doesn’t mean the’re good for you. Learn how to manage your new diet the right way—by incorporating nourishing foods into your meals. For example, stick to clean, nutrient-dense whole foods, and avoid those that are refined, processed, packaged, and filled with sugar and chemicals (or ingredients you can’t pronounce!). Eating wholesome foods will help you feel your best and conquer stress. You’ll also get more nutrition—important because CD is a malabsorptive disease. It’s also important that you try to consume appropriate amounts of fiber as well as protein and (healthy) fats while avoiding a diet that’s high in carbohydrates. There are so many delicious and nutritious celiac-friendly cookbooks and recipes available online, thanks to gluten-free food bloggers, chefs, and cookbook authors who take the time to share their creations. Try new recipes that look appealing, and have fun with the experimentation! Good place to start: Gluten Free & More magazine’s “Recipes” area. a gluten free diet, abdominal bloating, b12, bloating, bone, bone density, cancer, celiac, celiac disease, chronic diarrhea, conquer stress, constipation, cooking, dairy, dairy intolerance, diarrhea, diet, digestive, fiber, food, gluten, gluten free, gluten free diet, gluten free food, gluten free grains, gluten free more, going gluten free, health, health problems, healthy fats, healthy food, healthy food choices, iron, low bone density, lymphoma, nutrients, nutrition, nuts, pain, paleo diet, protein, protein sources, quinoa, recovery, stress, sugar, supplements, terminal cancer, the gluten free diet, vegetables, vitamin, vitamin b12, vitamin b6, vitamin d, vitamins. I have recently diagnosed carcinoma lump in my breast. I am celiac . I am Celiac and have love white cell count. I have recently found a Carcinoma lump removed in my breast. Could this be due to my Celiauc and poor immunity. I am celiac. I have recently found a carcinoma lump in my breast, which I have had remove . Could this be a result of my diagnosis. Thank you. I thought you might be interested in this article on https://universityhealthnews.com: Celiac Diet Basics: Combining "Safe" with "Delicious"